Grand Theft Auto fans shouldn’t hold out on the franchise’s newest entry to come to the Xbox One and PlayStation 4, says Rockstar’s Dan Houser. 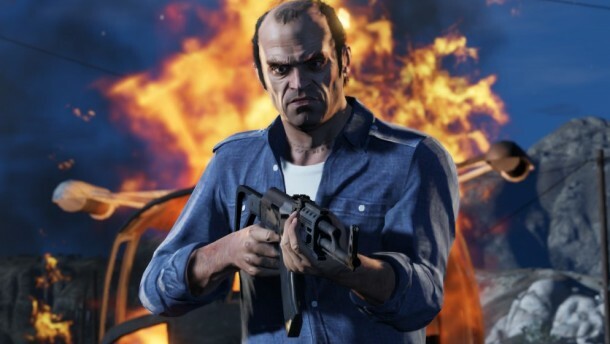 The newest game, Grand Theft Auto V, hit store shelves for PlayStation 3 and Xbox 360 on Tuesday. However, in an interview with UK newspaper The Guardian, Houser confirmed that, while the blockbuster developer is interested in the opportunities and tech provided by next-gen consoles, there are no immediate plans for the best-selling open-world crime franchise on those systems. So that seems to settle the question of whether Grand Theft Auto V will come to next-gen consoles, which has been widely speculated on since the new consoles were first unveiled. So while it seems likely that the inevitable Grand Theft Auto VI – or whatever Vice City or San Andreas-style offshoots Rockstar develops next – will at some point materialize on the Xbox One and PS4, the series won’t make that leap with the fifth entry in the franchise. Grand Theft Auto V, which released Tuesday, has earned a near-perfect scores on Metacritic, with 98 on Xbox 360 and 97 on PS3. The game, whose budget was reportedly over $265 million, is expected to earn a billion dollars within the first month of release. What do you think, GTA fans? Are you disappointed you won’t be able to get up to criminal shenanigans on next-gen consoles? Let us know in the comments.